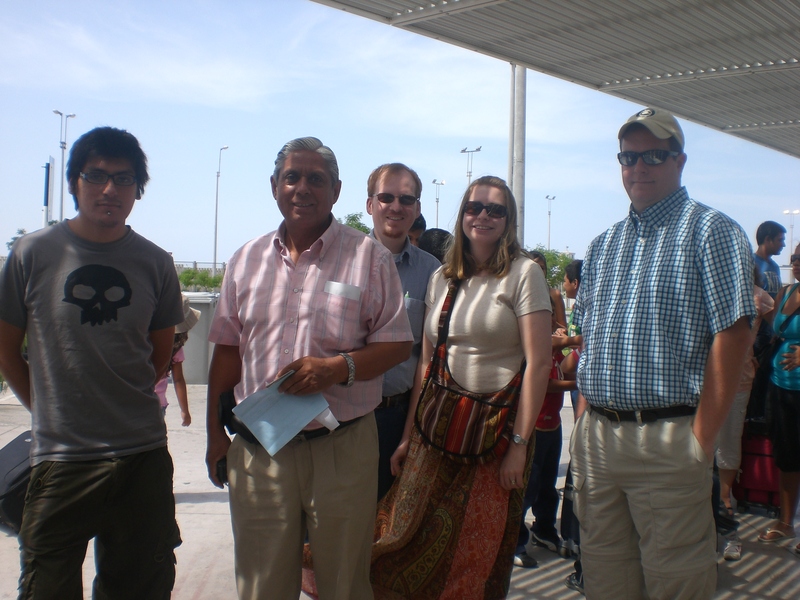 Jeremias, Marcelo, Blake, Bekah, and Chris at border control. On Friday we crossed over the Peruvian border to visit some believers there. Marcelo has disciples scattered all over the place, which is part of the reason why he needs so much help. Anyways, the border between the two countries is about twenty to thirty minutes from Arica. It was our first time crossing an international border by land and it really wasn’t that bad since the only thing authorities are really looking for on either side is drugs. Chileans don’t need passports to cross into Peru, just their national IDs, but that one trip there and back added a bunch of stamps to ours. If this is going to be something we do regularly with Marcelo, we’ll definitely need extra pages for our passports. 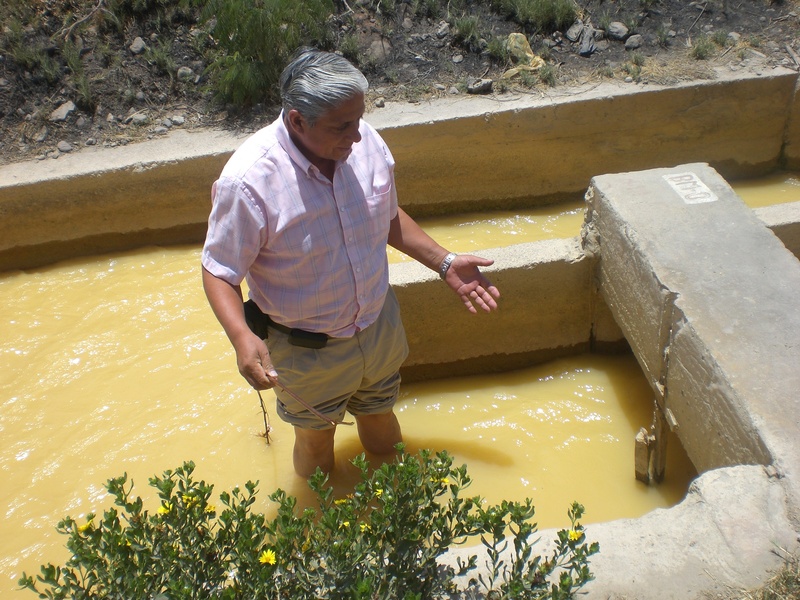 Marcelo demonstrating how Baptisms will be done. 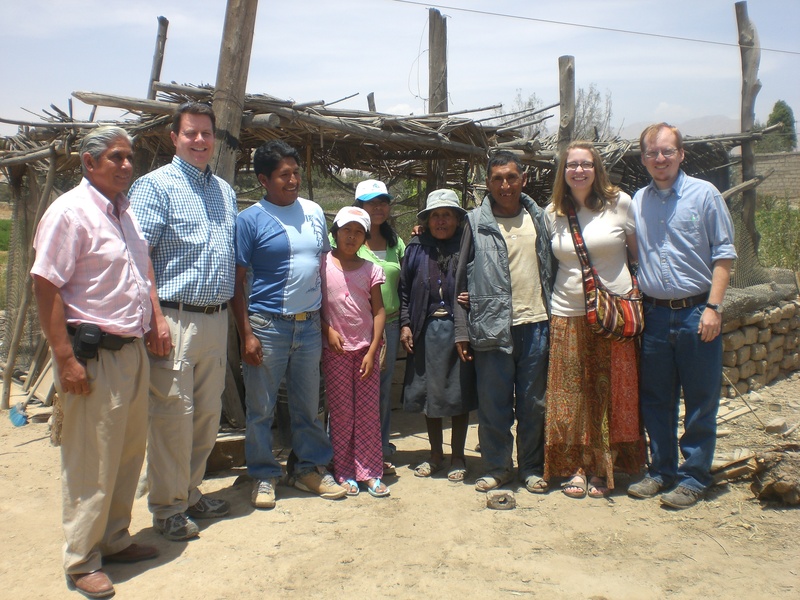 With the Peruvian pastor and his family outside their living area. Our next stop was to visit an Aymara family. They invited us into what I think is probably a living room/kitchen. It was a wooden structure with some grass woven to form the roof. They were very hospitable and we sat and chatted for a while. When I say that “we sat and chatted” I mean that Marcelo mostly sat and chatted because it was so difficult for us to understand them. Marcelo’s son, Jeramias, said that he can’t even understand them because they speak so softly. He says that’s how the Aymara talk, so that’s going to be a challenge for us. The rest of the afternoon was spent having lunch and wandering around the shops in Tacna with two of Marcelo’s children. They speak some English so we were able to converse with them and joke around some. Most people here know at least some words in English—much like most people in the US know at least some words in Spanish. Marcelo is no exception and he tries, whenever he can, to say a couple of words in English. We really like Marcelo, and we’ll try to post something soon to help you all get to know him a little better. Thank you, again, for your prayers. Tonight Chris is speaking at church about the relationship between UBACH and CBF and how Blake and I got connected in Chile and Blake will be preaching his first sermon here in Chile. I’ll be translating for Chris and Blake will be translating for Blake. : ) We would both really appreciate your prayers as we seek the right words to say. I can sense your excitement as you get ready for the work God has called you to do. May you relax and depend on His leading you step-by-step. His timing is perfect and ours is not. Keeping you in our prayers. I feel ya on the passport thing! I had to get extra pages in my passport to from crossing the board in Thailand and how they stamp it way more than necessary. Anyways, how exciting! I can’t wait to hear how the preaching and translating went!